The pilot is on deputation for about two years and the case was detected only a couple of months back. Source close to the pilot told ET that he has offered to repay Air India the money that is due on him. 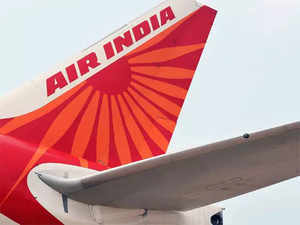 NEW DELHI: Air India has been found paying salary to at least one person, who is not on the rolls, although the cash-strapped carrier has failed to clear the dues to its employees. A case has been detected in the airline, where Air India was paying salaries to a senior pilot, who is on deputation to the Directorate General of Civil Aviation (DGCA) as a senior flight operations inspector and receives salaries from the aviation regulator as well. The pilot is on deputation for about two years and the case was detected only a couple of months back. DGCA chief BS Bhullar said the carrier should look into the matter if it has disbursed extra. “As far as DGCA is concerned, it pays employees as per the financial framework of the government. If AI has disbursed more than allowed, it is for them to correct it. We’ll look into our domain and ensure it is as per our financial framework,” he told ET. Source close to the pilot told ET that he has offered to repay Air India the money that is due on him. “The pilot has offered to pay back the amount that has been credited to his account over a period of two months. The airline now has to decide on the process to facilitate the return,” said an official source, refusing to be identified. The source said taxes paid – both by the pilot and the airline – also need to be settled. Air India did not reply to ET’s query till the time of going to print. This is not the first time the national carrier has been found to be defaulting on removing employees, who have left the company or are on deputation. A case was detected in 2013, where 400 employees, including 50 pilots, were on the Air India payrolls even after resigning.